If you’ve lost two or more consecutive teeth, the Stonebriar Smile Design team can help. We typically recommend dental implant-retained tooth replacement because they offer close to natural appearance and function. In order to replace two or more teeth in a row, we’ll offer an implant supported bridge. If you want to learn more about your dental restoration options, call to schedule a tooth replacement consultation appointment in our Frisco dental office. We’ll review your treatment options and work with you to develop a treatment plan that meets your needs. Traditional bridges are used to replace one or a few consecutive missing teeth. The replacement tooth or teeth are fused to two dental crowns, one on each side, and the crowns are attached to healthy teeth, providing support for the fixed bridge prosthetic. 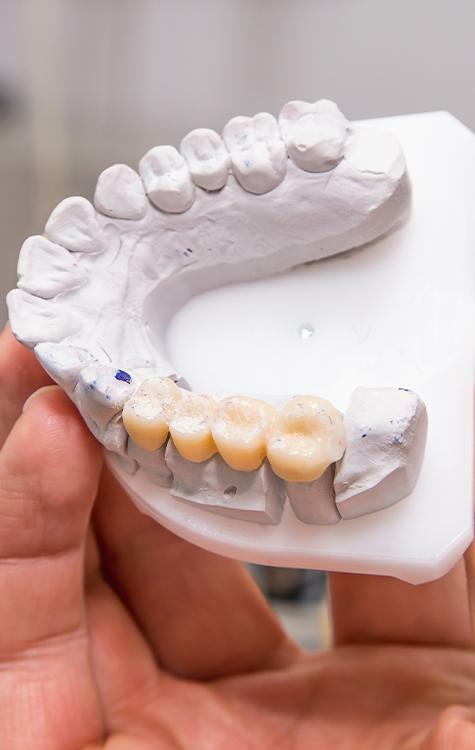 Like traditional bridges, the implant-retained prosthetics work by fusing replacement teeth together to form a bridge that spans the gap between healthy teeth. Rather than being supported by surrounding teeth, they are anchored to two dental implant posts, one on each side. When Would I Need an Implant Fixed Bridge? An implant supported fixed bridge is recommended for those patients who have lost between two and four teeth in a row. Depending on the size and shape of missing teeth, we may be able to replace a larger number of teeth with a single fixed bridge. In some cases, we can also use several fixed bridge restorations to replace a full row of teeth. However, these treatment plans are very invasive, and they may not be right for every patient. 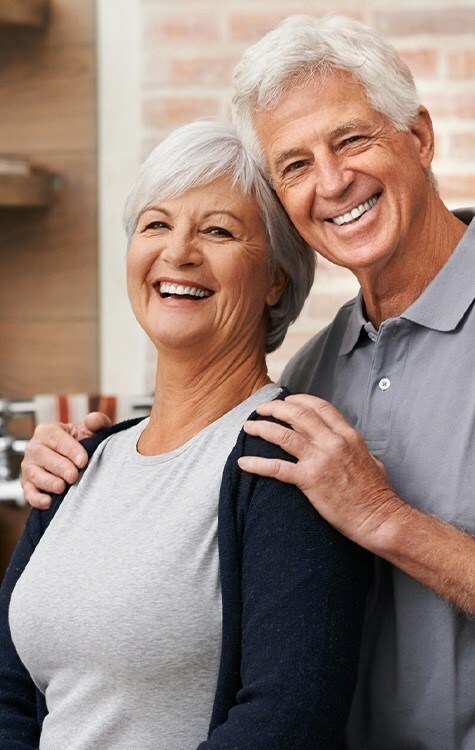 For more advanced tooth loss, we typically recommend an implant supported denture. 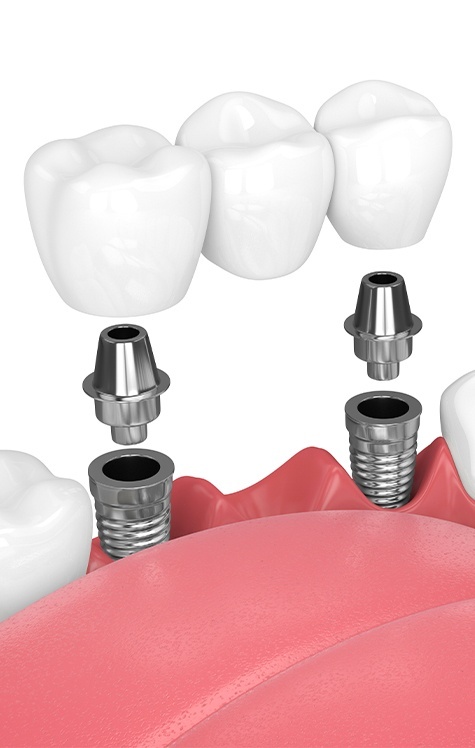 How are Implant Supported Bridges Placed? Your implant-retained fixed bridge treatment plan will be completed over the course of several months. First, we’ll need to remove damaged teeth, treat any oral health conditions like gum disease. Then, our team and/or a specialist may need to place a bone or soft tissue graft to ensure the success of your dental implant placement. 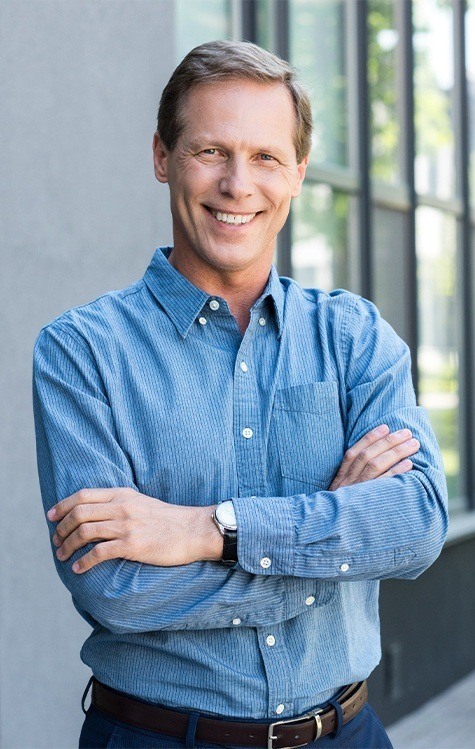 The implant procedure itself is performed by a trusted local specialist. It is a minimally invasive surgery. A small incision is made in the gums. Then, the implant is positioned into the jawbone. Once in place, the implant post fuses with bone and gum tissue to mimic the lost tooth roots. This process can take several months, but once your implants have connected with the supportive structures, you’ll return to our office. We’ll design and place your flawless, custom fixed bridge. What are the Benefits of implant-Retained Bridges? Restoring both the roots and crowns of missing teeth, implant-retained restorations ensure complete stability without placing pressure on surrounding tooth structures for support. The stimulus provided by the implant posts maintains the optimal level of healthy tooth and gum tissue. Once in place, implant bridges provide natural function for two decades or longer compared with traditional bridges that need to be replaced every five to ten years.